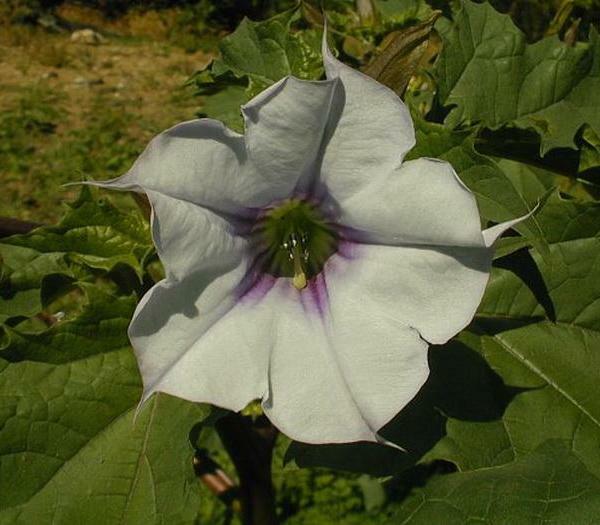 Description: This perennial wildflower is 1-3' tall, branching frequently. 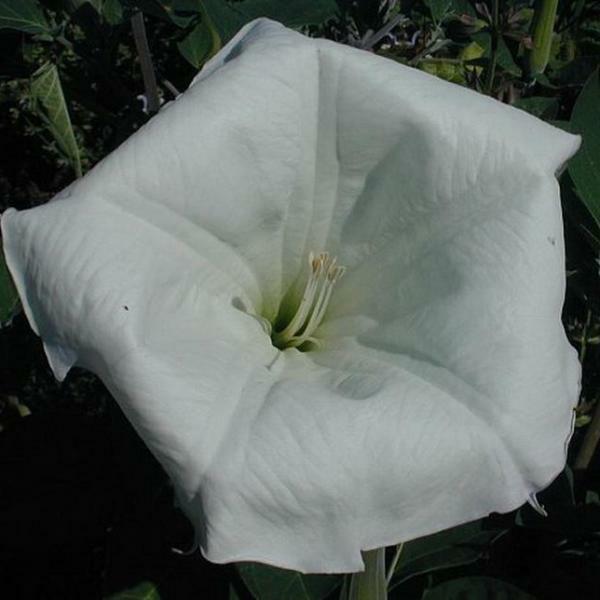 The stems are light gray-green, terete, and sparsely to moderately covered with short fine hairs. 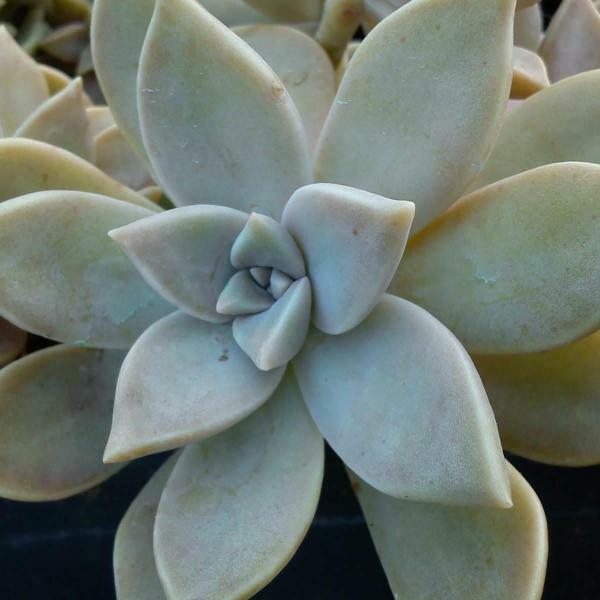 The alternate leaves are 1½-3" long, ¾-1½" across, and lanceolate, oblanceolate, or ovate in outline; each leaf is pinnate-pinnatifid with 2-6 pairs of lateral leaflets and a terminal leaflet. 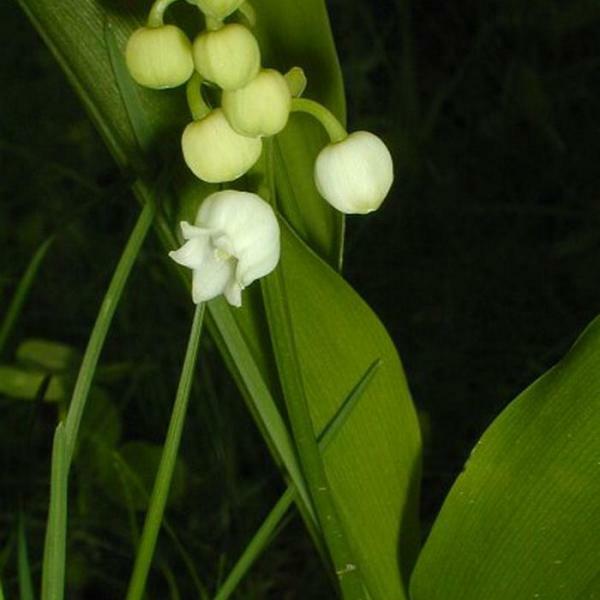 The leaflets are oblong in shape and pinnatifid with pointed lobes. 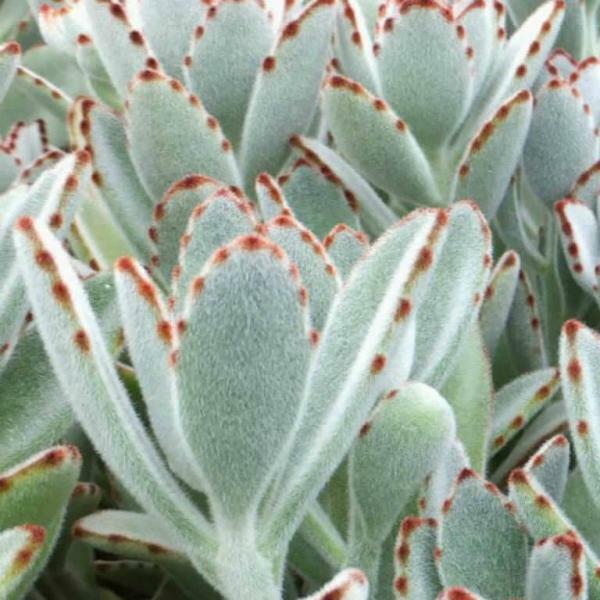 The upper surface of each leaf is light to medium gray-green, while the lower surface is light gray-green; both surfaces are sparsely to moderately covered with short fine hairs. 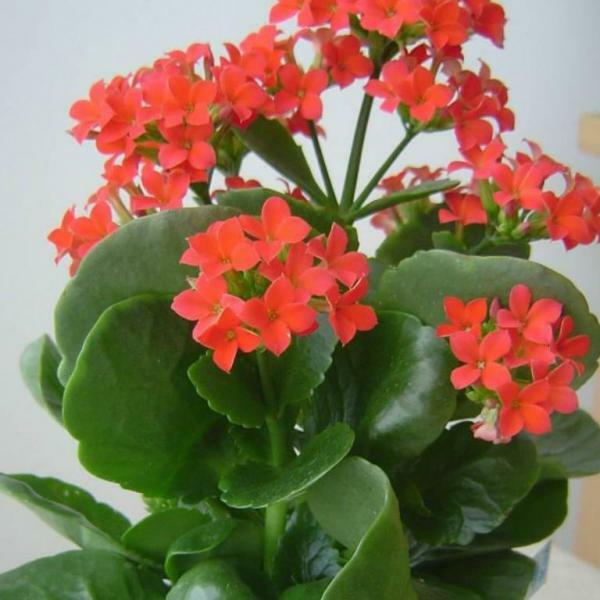 The lower leaves have short flat petioles, while the upper leaves are sessile or nearly so. 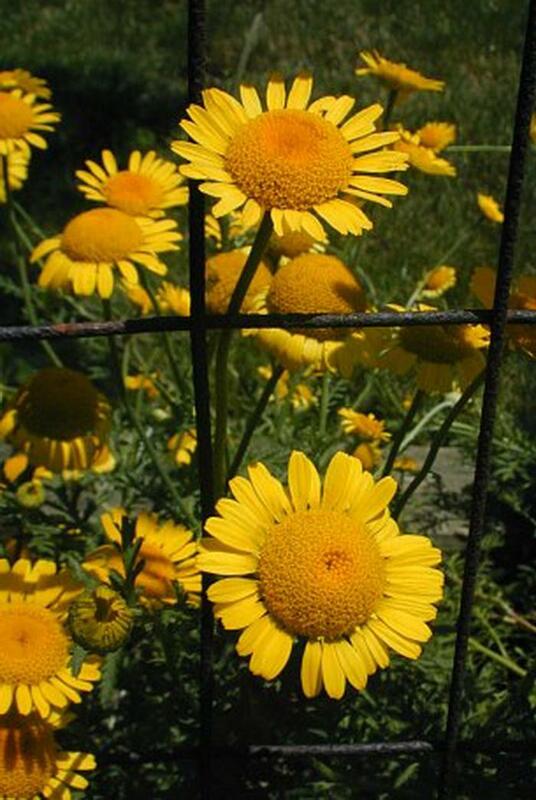 The upper stems terminate in individual flowerheads about 1½-2" across. Each flowerhead consists of 20-32 yellow ray florets that surround a large dome-like cluster of golden yellow disk florets. 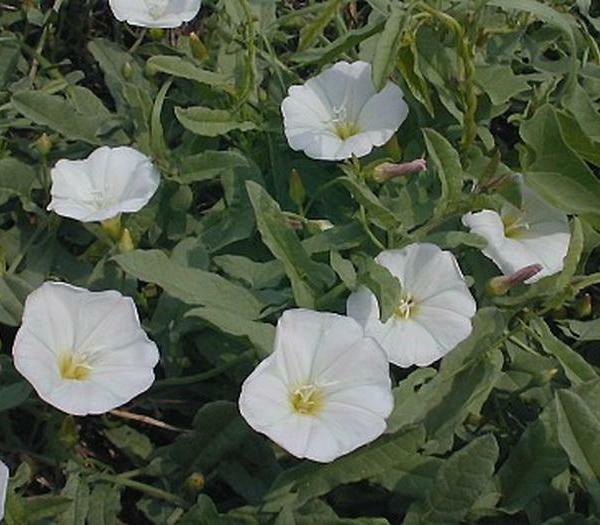 The ray florets are fertile and pistillate (female); the petaloid (petal-like) extension of each ray floret terminates in 2-3 blunt teeth. The tiny disk florets are fertile and perfect; the corolla of each disk floret is narrowly tubular with 5 spreading lobes. 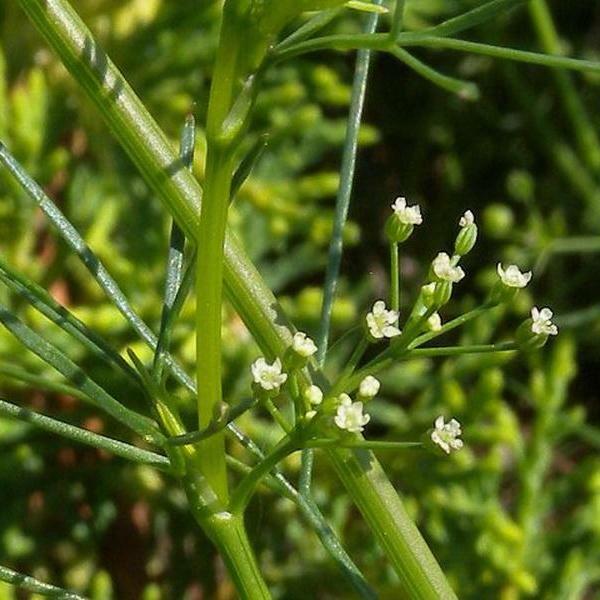 Around the base of each flowerhead, there are numerous phyllaries (floral bracts) that are arranged together in a single series. 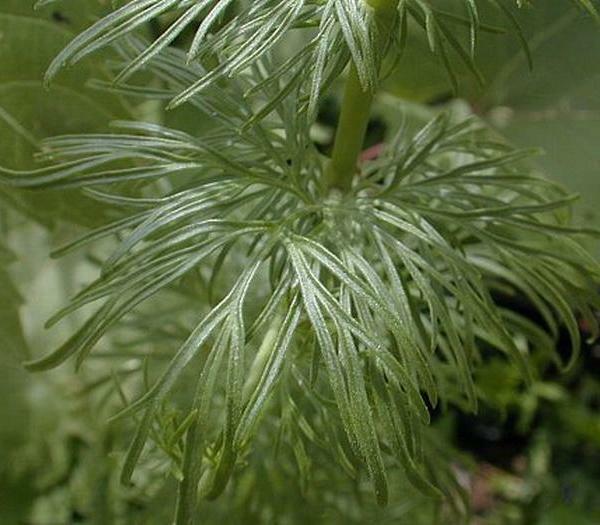 Individual phyllaries are light green, linear in shape, and membranous along their upper margins; they are sparsely to moderately covered with short fine hairs. The peduncles (stalks) of the flowerheads are relatively long and unbranched; they are similar in appearance to the stems. 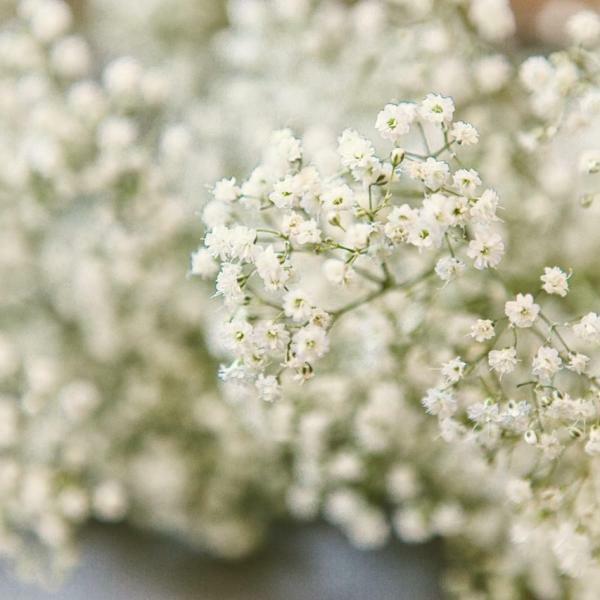 The crushed foliage has an aromatic scent. 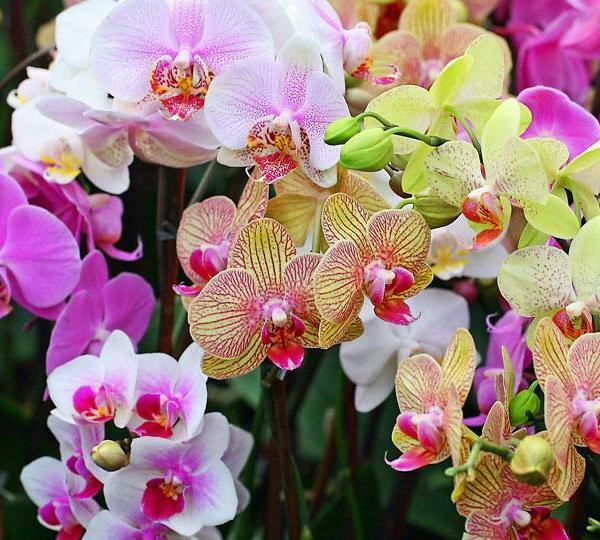 The blooming period occurs from mid-summer to early fall, lasting about 2 months. The florets are replaced by narrowly oblongoid achenes about 2 mm. in length; these achenes are slightly four-angled and slightly flattened. At the apex of each achene, there is a short angular crown. 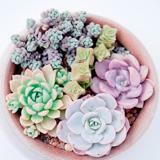 Cultivation: The preference is full or partial sun and mesic to dry conditions. Different types of soil are tolerated, including those containing loam, clay-loam, and gravelly material. 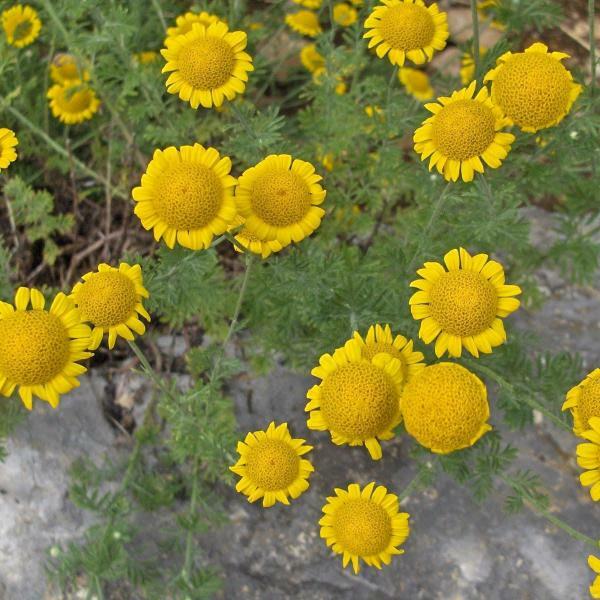 Range & Habitat: The introduced Yellow Chamomile rarely escapes from cultivation in Illinois. So far, naturalized plants have been found in the NE section of the state (see Distribution Map). 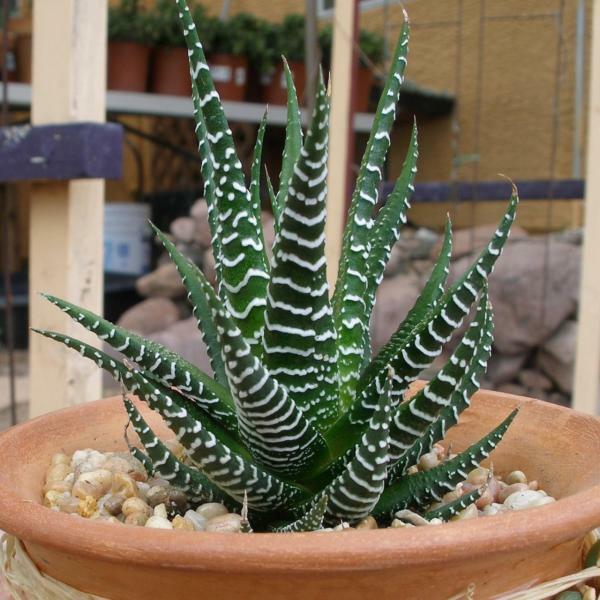 It was introduced from Europe into North America as an ornamental plant. 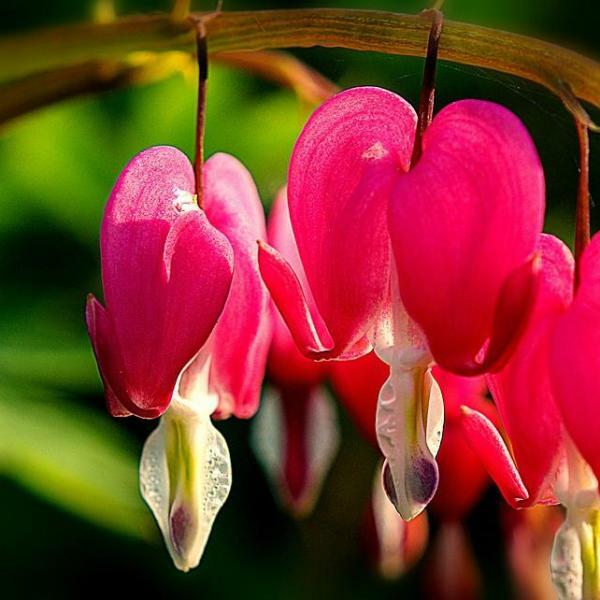 Naturalized habitats include roadsides, abandoned fields, weedy meadows, and thinly wooded areas that are relatively open and sunny. 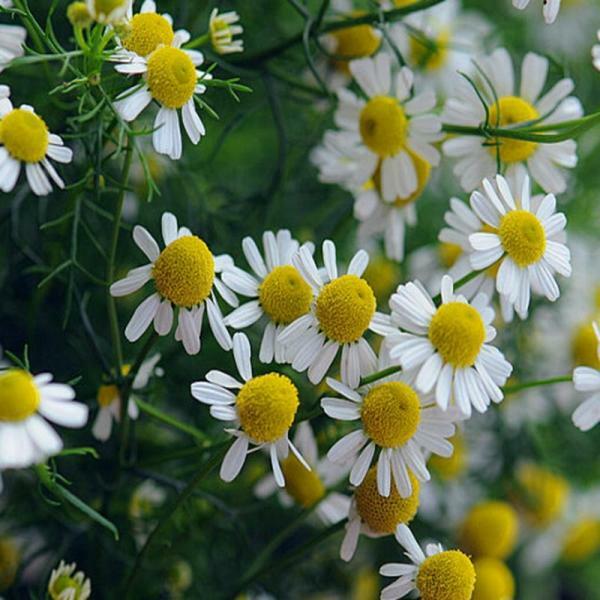 Yellow Chamomile is often cultivated in flower gardens. Faunal Associations: Because their nectar and pollen is relatively easy to reach, the flowerheads attract a wide variety of insects. In Europe, Müller (1873/1883) observed small bees (Colletes spp., Heriades spp., & Halictus spp. ), Ichneumonid wasps, various flies (Syrphidae, Conopidae, & Muscidae), and beetles (Elateridae & Mordellidae) visiting the flowers. 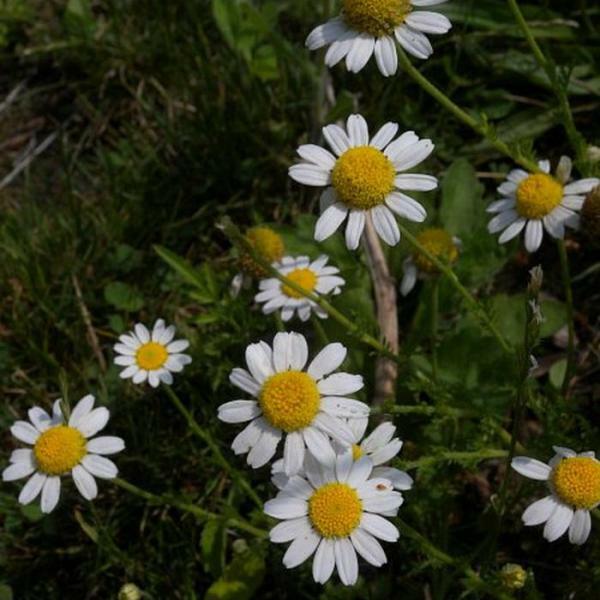 In North America, records of floral-fauna interactions for Yellow Chamomile are sparse. Caterpillars of the moth Orthonama obstipata (The Gem) have been observed to feed on composites (e.g., Anthemis spp.) 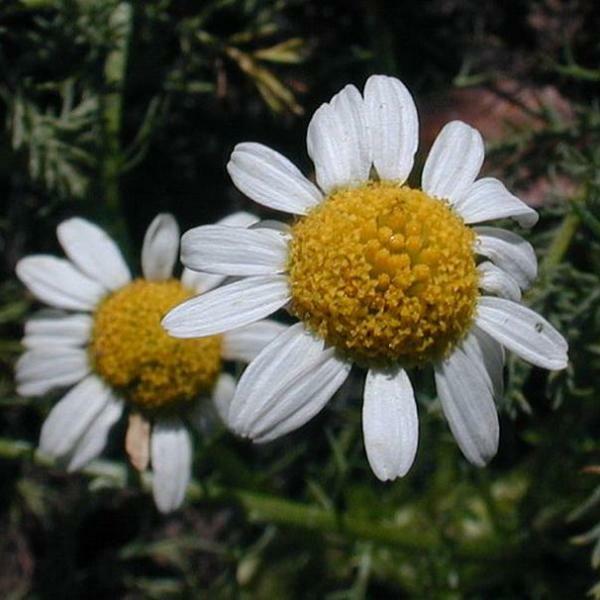 that are similar to Yellow Chamomile (Covell, 1984/2005). According to Georgia (1913), grazing animals avoid consumption of Yellow Chamomile. 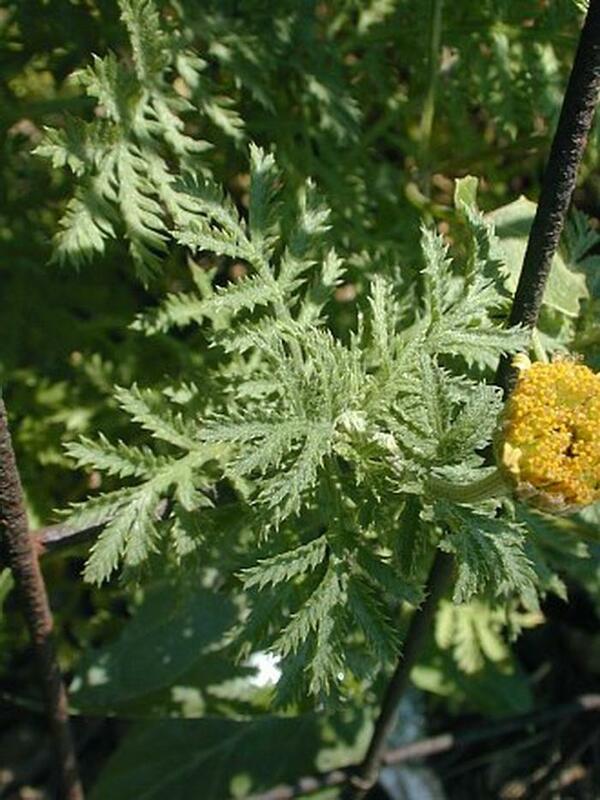 The aromatic foliage is bitter-tasting and possibly toxic to such animals. Photographic Location: A flower garden in Urbana, Illinois. 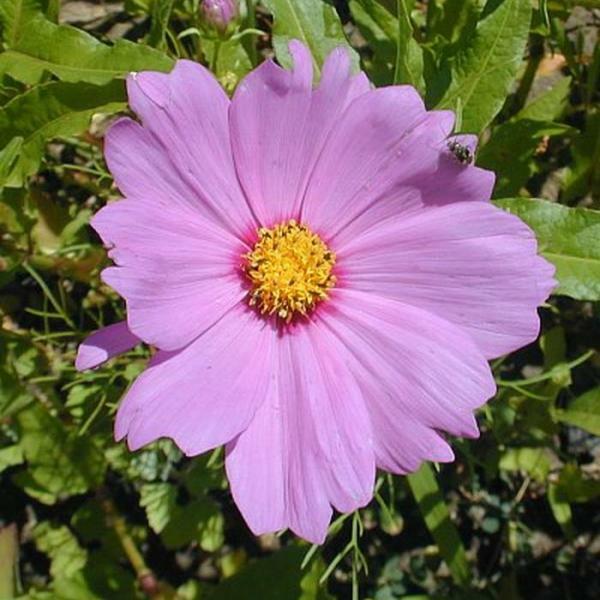 Comments: Several plants with daisy-like flowers have been introduced into North America from Europe. Most of these species have flowerheads with white petal-like rays, although Yellow Chamomile (Cota tinctoria) is one of the exceptions. 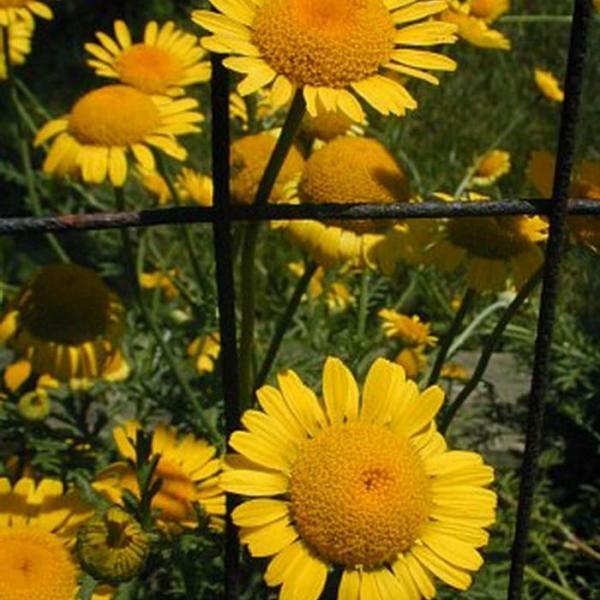 In Illinois, it has been less likely to escape from cultivation than Leucanthemum vulgare (Ox-Eye Daisy), Anthemis cotula (Dog Fennel), and some other species in this group.